For example, Zinn Education Project fan Lisa Budwig raised $525 on her birthday with a Facebook fundraiser – far exceeding her goal of $250. We have outlined the steps below. 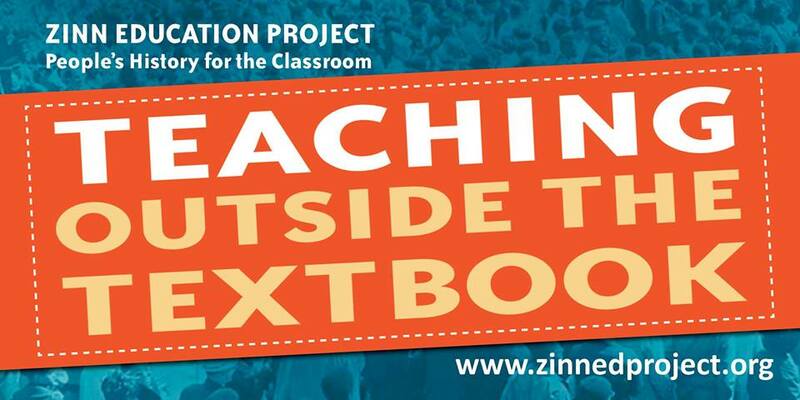 Note that since the Zinn Education Project is a project of two non-profit organizations (Teaching for Change and Rethinking Schools), the appeal has to come from one of those groups. 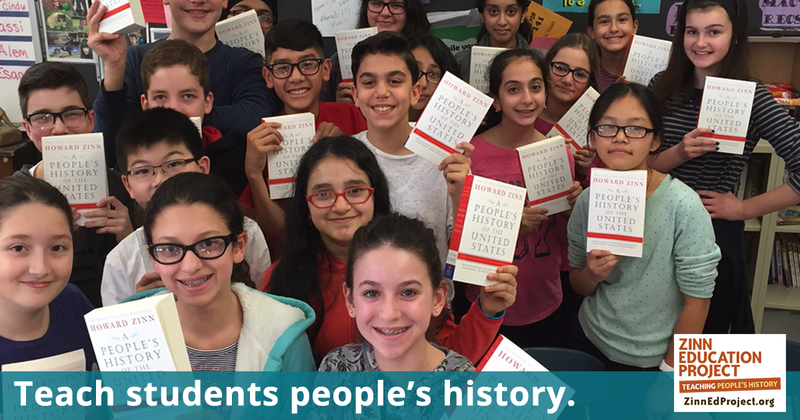 The funds you raise will be dedicated to the work of the Zinn Education Project. 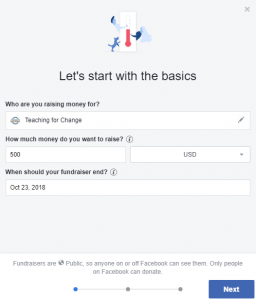 You will choose Teaching for Change as the non-profit you are raising funds for and add the Zinn Education Project to the title of your fundraiser. Here is how. 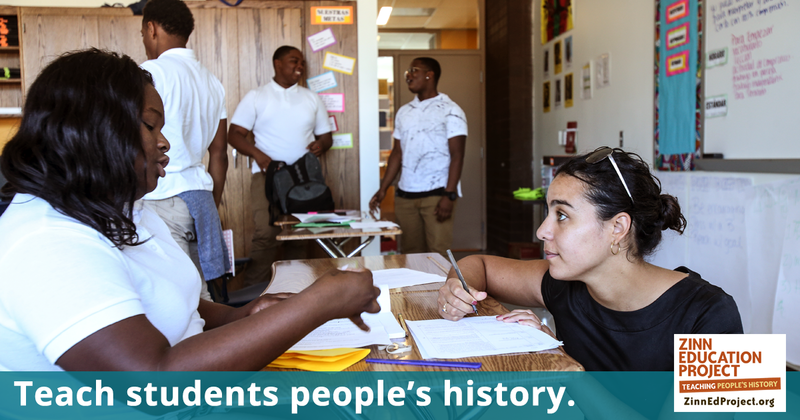 Please join me in supporting the Zinn Education Project, a joint project of Teaching for Change and Rethinking Schools, which promotes the teaching of people’s history in classrooms across the country. 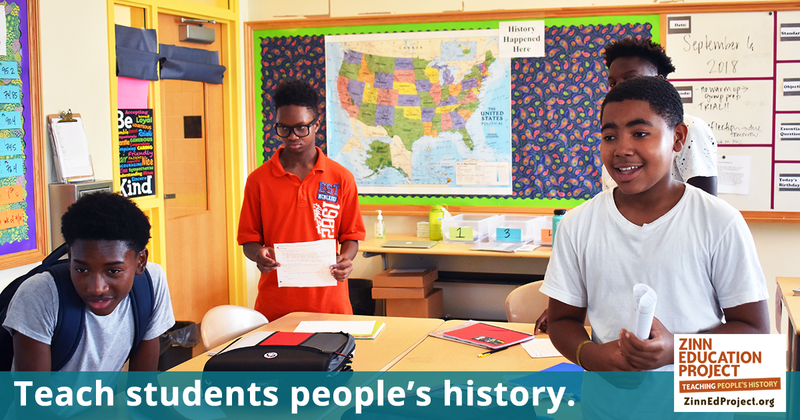 I believe strongly that the best way to build a path toward truth and justice is to support efforts to educate young people about the powerful ways those before us made long-lasting social change. 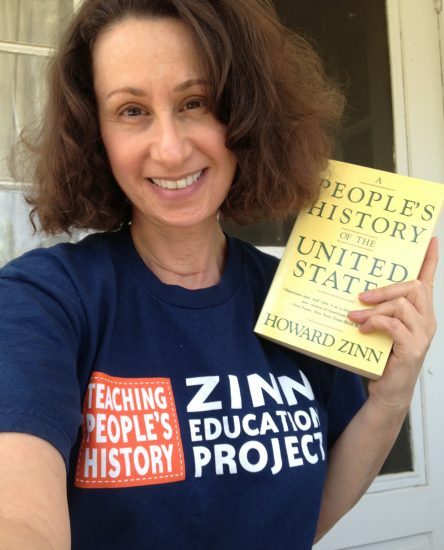 The teaching materials at zinnedproject.org are based on the approach to history highlighted in Howard Zinn’s best-selling book “A People’s History of the United States,” that emphasizes the courageous tenacity of working people, women, people of color, and organized social movements in shaping history. 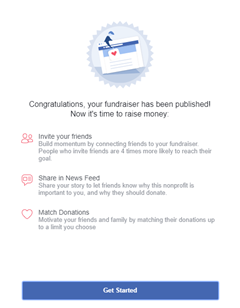 I have set a goal to raise $[dollar amount]. Your contribution will make an impact, whether you donate $5 or $500. Every bit helps. Thank you so much for considering it, and you will receive an acknowledgment and tax receipt from Teaching for Change.